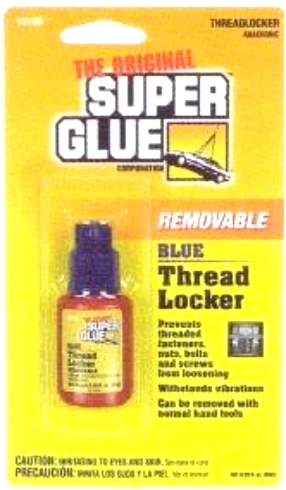 •Eliminates soldering of threaded joints. •No heat or flux to spoil finishes. •No unsightly solder lumps to mar appearance. •No need for set screws in socket caps. •Locks arms into fixture bodies, keeps clusters from loosening. •Keeps switch keys from backing off. 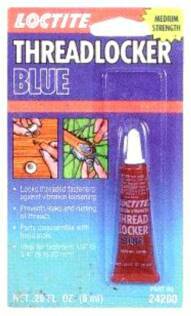 •Locks any threaded part against loosening. •10 ml treats 600 Nuts. • General purpose medium-strength threadlocker. 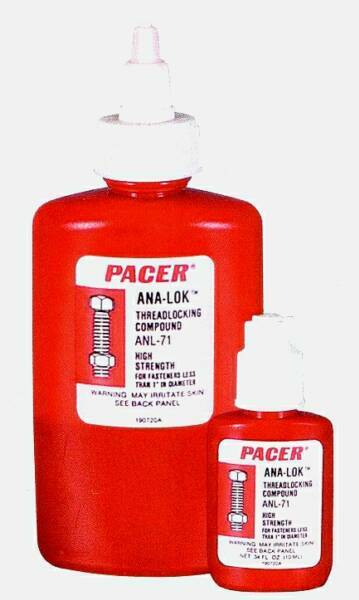 • Prevents loosening, corrosion and leakage. • Medium hold for easy disassembly.